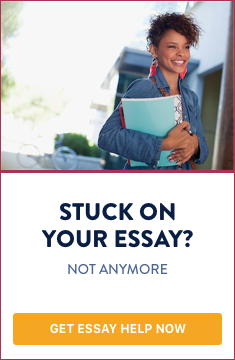 What is a five-paragraph essay? The second paragraph of the body should contain the second strongest argument, second most significant example, second cleverest illustration, or an obvious follow up the first paragraph in the body. The first sentence of this paragraph should include the reverse hook, which ties in with the transitional hook at the end of the first paragraph of the body. The topic for this paragraph should be in the first or second sentence. This topic should relate to the thesis statement in the introductory paragraph. The last sentence in this paragraph should include a transitional hook to tie into the third paragraph of the body. The third paragraph of the body should contain the weakest argument, weakest example, weakest illustration, or an obvious follow up to the second paragraph in the body. The first sentence of this paragraph should include the reverse hook, which ties in with the transitional hook at the end of the second paragraph. The topic for this paragraph should be in the first or second sentence. This topic should relate to the thesis statement in the introductory paragraph. The last sentence in this paragraph should include a transitional concluding hook that signals the reader that this is the final major point being made in this paper. This hook also leads into the last, or concluding, paragraph. an allusion to the pattern used in the introductory paragraph.